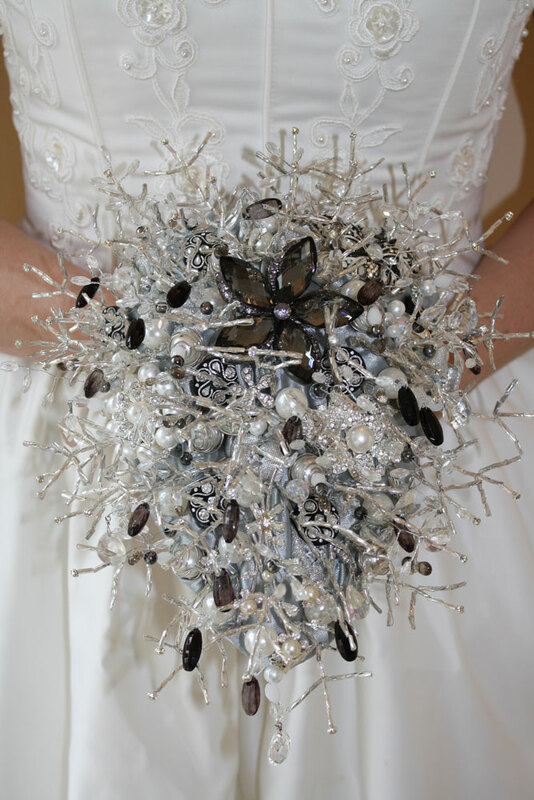 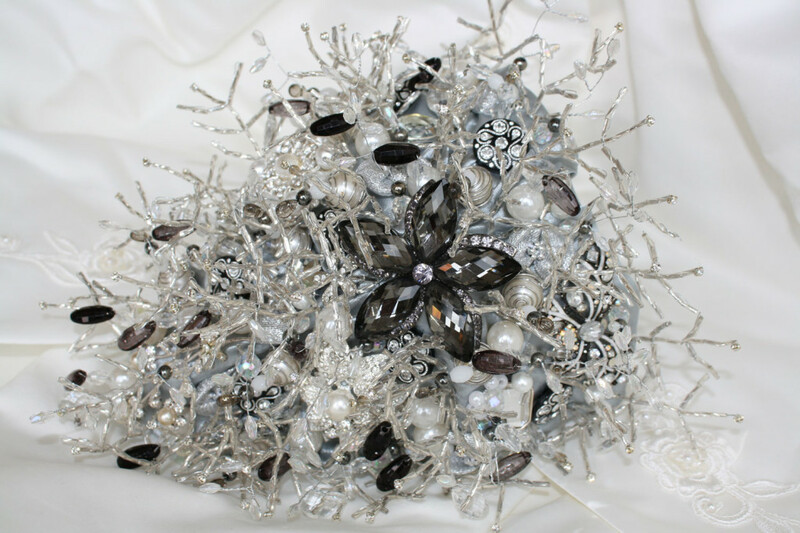 Bedazzle your guests with this stunning Black & Silver Bouquet. 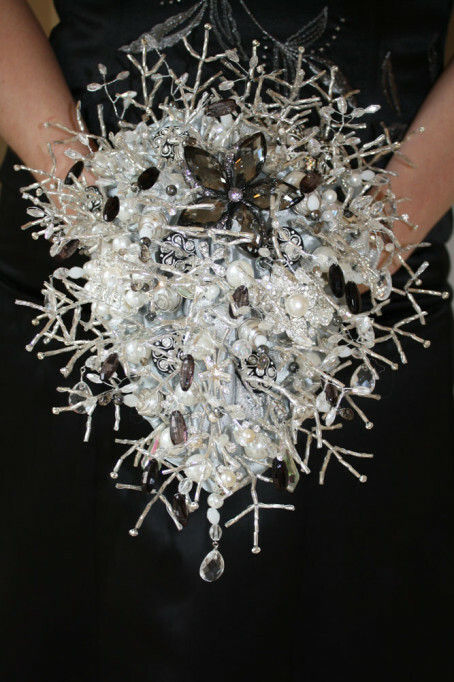 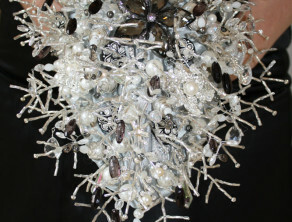 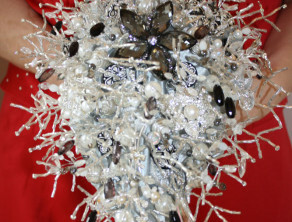 Created using sparkling brooches, embellishments, glass drops, crystals, buttons and lots of twisted bugle beads finished with diamante crystals, this dramatic brooch bouquet has an informal “teardrop” effect. 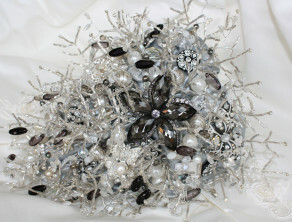 This stunning bouquet can be made in a variety of colours and sizes starting from £ 325 including P&P. 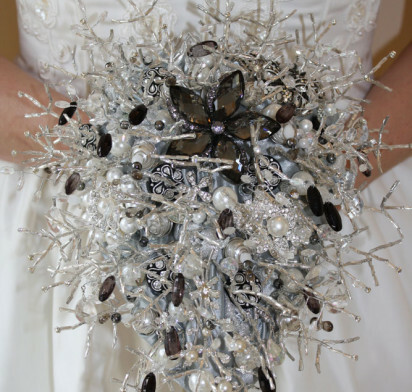 The bespoke bouquet shown is for your reference, your bouquet wouldn’t be exactly the same as all our designs are unique, but it might be a good place to start! 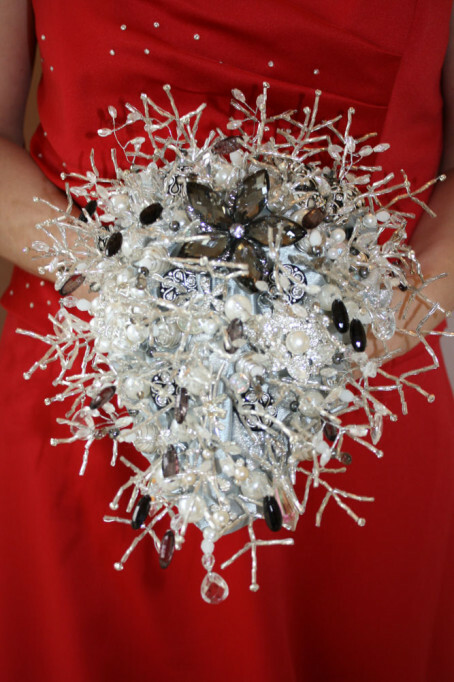 The size of this bouquet is 25cm x 27cm priced at £ 425 including P&P.